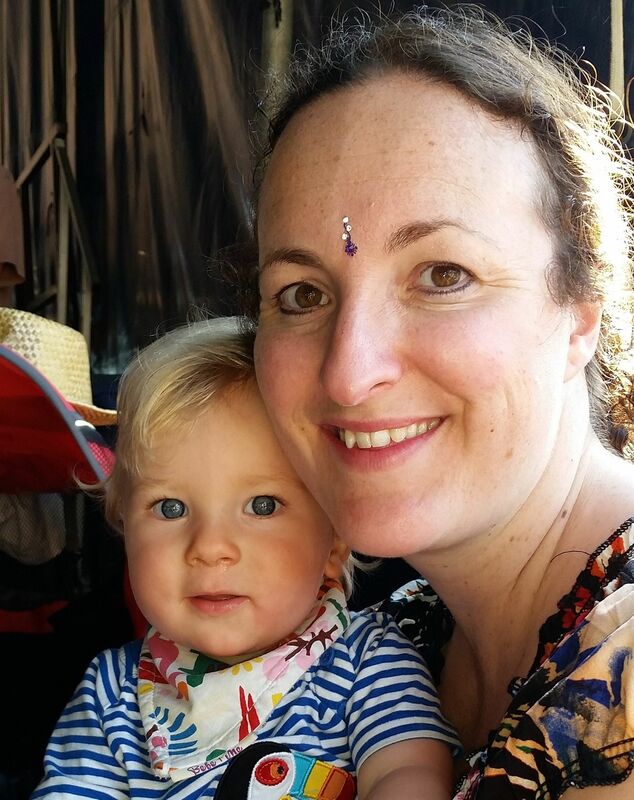 Thula Mama is a unique and relaxing activity where mums with babies can enjoy singing together in a group whilst cuddling their babies and generally having a lovely time. There are groups all over the country, but Basingstoke’s offering stands out from the rest in its venue – The Salt Lounge is Basingstoke’s first salt therapy space and is conveniently located close to Festival Place just off Wote street. It offers treatments that can help alleviate breathing difficulties such as asthma as well as soothing skin conditions such as eczema. At my first session it was a small enough group to not feel overwhelmed. Rebecca, who organises it, was super friendly and we were offered tea and biscuits in lovely reusable mugs with lids (to prevent accidents from little grabbing hands!). We relaxed in the waiting area and chatted for a while, before heading into the therapy room for our singing session. The therapy room is a soothing white cave of tranquility. There are comfortable reclining chairs with low arms and footstools, perfect for feeding baby. You can choose to go barefoot, or with protection over your shoes, and the salt on the floor feels lovely between your toes. There are mats and toys laid out on the floor for the babies to play, and the lighting is slightly dimmed for relaxation. The songs at Thula Mama are simple, easy to learn traditional songs from around the world. The words are written on a flip chart and the tunes can be picked up after hearing the song once. We sang each through several times, adding in harmonies as we went, and I felt a real sense of achievement from learning some lovely-sounding music and enjoying singing it in less than 5 minutes! 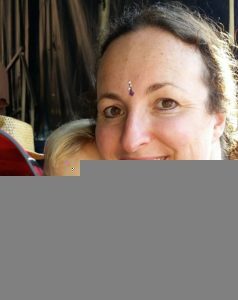 There are no auditions, and no worrying about having any previous experience of singing – it’s all about joining in and having fun with other mums! 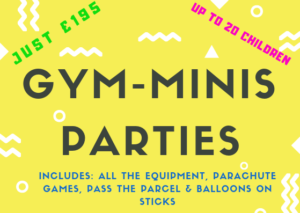 Facilities-wise the venue has everything you need – there are lockers for you to leave valuables if you wish, prams can be left in the waiting area where there is always a member of staff present, and the disabled toilet has a changing table too. There are a couple of steps into the building, but there is always someone to help get prams in if needed. I left my first session feeling both physically and emotionally refreshed. 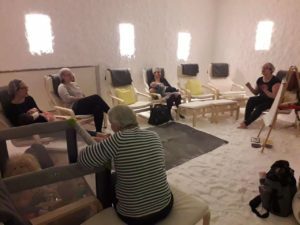 My little one and I both had colds at the time, and I’m sure the salt therapy helped us feel better, and it was such a nice change to do something calming and relaxing with babies (although we are all for the sensory play and bright colours and loud noises of other baby groups too!). I have since been back every week for the past couple of months and treat it as my weekly retreat! 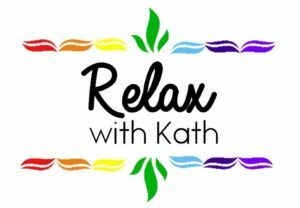 As well as Relax Kids classes for children I also run relaxation classes for adults! I’m embarking on my Yoga Teacher Training journey and am very excited to be offering the classes below to my timetable. I advertised my first Monday evening class and it filled within 12 hours which was fabulous but also made me realise that we need things like this in our lives!! I wanted to provide something that offers a bit of everything relaxation-wise (intro to mindful moments, beginners yoga and finishing off with some relaxation) so that people can come along and enjoy some time for themselves. Places are limited on the courses and I’m hopeful that the Tuesday morning course will continue during term time after my first course in April. If classes aren’t what you want, but you still fancy some ‘me’ time, then please check out my Relax with Kath Facebook page as I’m also a qualified massage therapist, offering treatments such as relaxation massage, hot stones massage, thai foot massage, beauty facials (deluxe, hot stones, classic and express) and not so relaxing waxing from my home treatment room in Oakridge. I’ll soon be offering eyelash lift and tint as well! 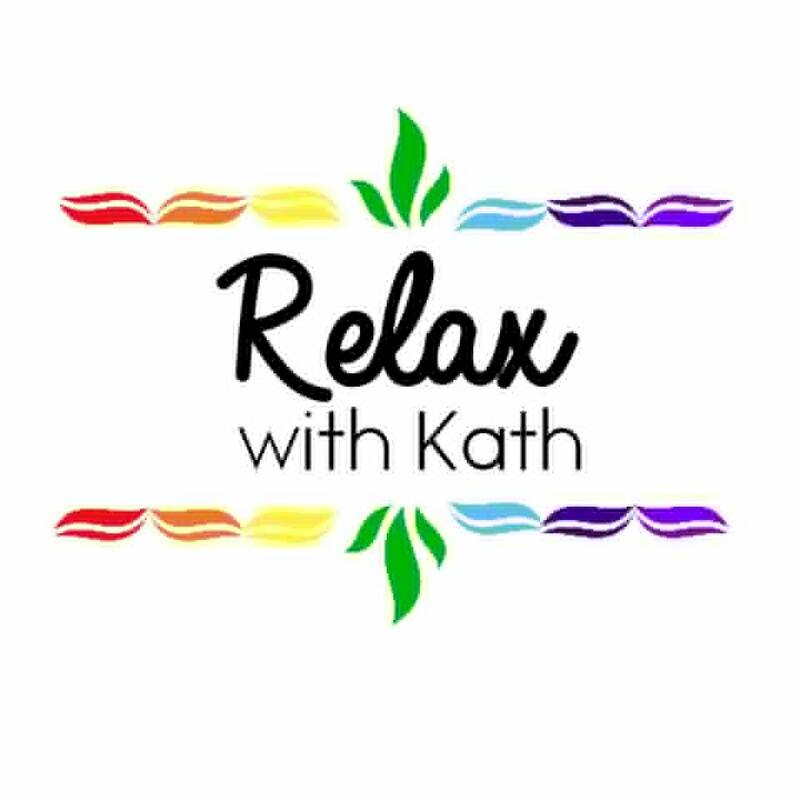 Check out https://www.facebook.com/relaxwithkath for more info. I’m offering any North Hants Mum readers £5 off their first treatment with me! Just quote NHM to get £5 off any full price treatment. Thank you for all of your responses, listed below in no particular order. March 20th was the International Day of Happiness. Sounds a bit trite? 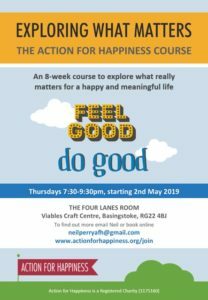 Well, the national mental health and wellbeing charity, Action for Happiness, is doing its bit to help people find happiness, break isolation and build social cohesion – despite life’s difficulties. Take a look at the BBC’s coverage of AfH on the day. 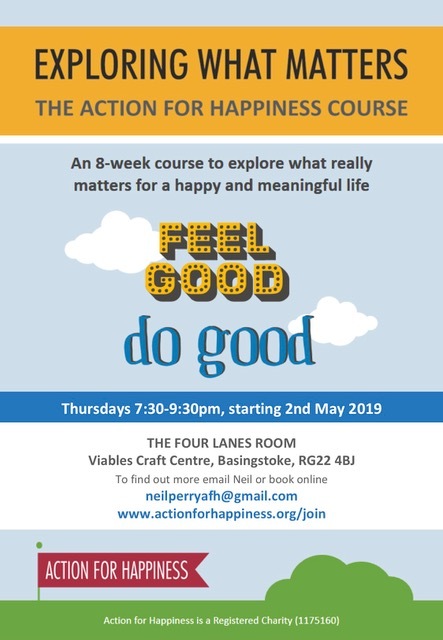 Locally, AfH will be running a new course called Exploring What Matters to help people discover how to live a happier and kinder life. Evaluation surveys from over 1,000 previous course attendees have showed significant improvements in both the personal wellbeing (+20% Life Satisfaction; +13% Mental Wellbeing) and also in the pro-social behaviour (+9% Compassion; +16% Trust) of the course participants, and we could all use a bit of that. Can we find peace of mind? What makes for great relationships? Can we be happier at work? Can we build happier communities? How can we create a happier world? Tuning In. Starting each session with short mindfulness and gratitude exercises to create a calm and positive atmosphere and to encourage friendly connections. Expert View. Watching a short video relating to the theme, including talks by Jon Kabat-Zinn, Richard Layard, Karen Armstrong, Ed Diener and Brene Brown. Personal View. Reflecting on personal experiences relating to that week’s theme. Did You Know? Learning interesting new ideas based on the latest research. Group Discussion. Having an in-depth discussion in small groups of 3-4 people. Action. Committing to a personal action to take based on what has been discussed. Participants are asked to make a donation of £90 to attend. However, there is a genuine pay-what-you-can offer if that is too much – no questions, no embarrassment so that the course remains open to everyone regardless of their ability to pay. On the other hand, Participants who are able to donate more help to ensure the course is available for those who have less. The course will take place at The Viables Community Centre every Thursday for 8 weeks, starting on 2nd May. Please get your tickets now from Eventbrite. 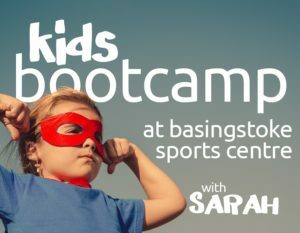 Junior Bootcamp at Basingstoke Sports Centre Thursdays and Fridays 4.25-5.25pm (this half term started last Thur and Fri and is £22.80 for the six weeks, there are still spaces). 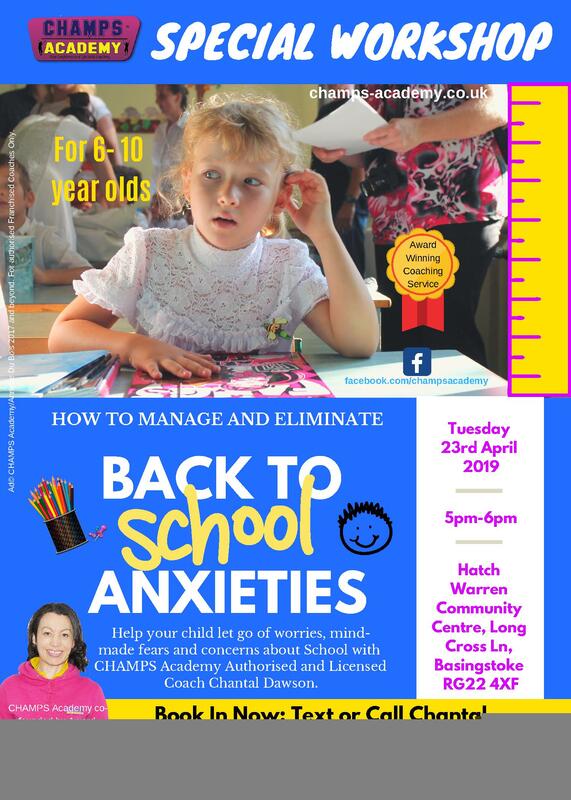 Next half terms starts 25th&26th April. Mini Movers at Basingstoke Sports Centre Thursdays 11.15-11.45am (pre-school movement class), this half term is 6 weeks long and is £12 for the course, (works out at £2 a class). 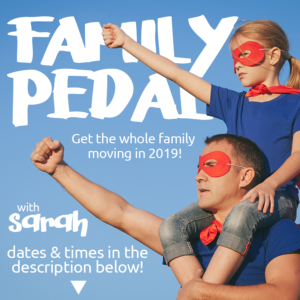 Family Pedal at Basingstoke Sports Centre Saturdays 12.10-12.40pm. Spin class for the whole family. 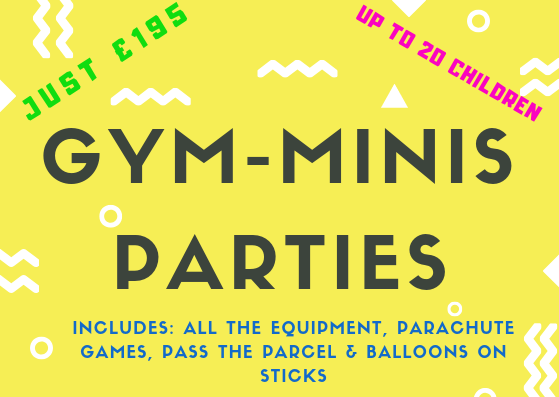 Also £12 for 6 weeks this half term (spaces left). Evening of classic tunes to get you moving. Fully licensed bar selling beers and ales, wine and prosecco. Adults £5, under 16s £2, tickets purchasable in advance. Hopefully, you all know by now that the Basingstoke NCT Nearly New Sale is just over a month away! We are offering 3️⃣ lucky people the opportunity to grab some amazing bargains at our ever popular sale on 30th March 15 minutes before the sale doors officially open to NCT Members and 30 minutes before the General Public – this means you will gain entry into the sale at 10.45am!!! *COMMENT on the link below with what you love most about the NCT Newly New Sale or tell us what you are looking forward to the most and remember to also TAG a friend. **LIKE AND SHARE the below post and / or the page to help us raise as much as we can for the NCT Charity. So, remember to COMMENT and LIKE AND SHARE the below link for your chance to win! The competition will end on 23rd March and the winners will be announced later on the same day!! 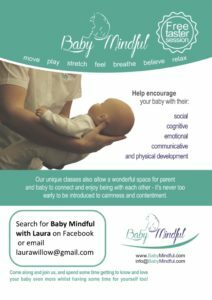 Baby Mindful – Free Taster Sessions! 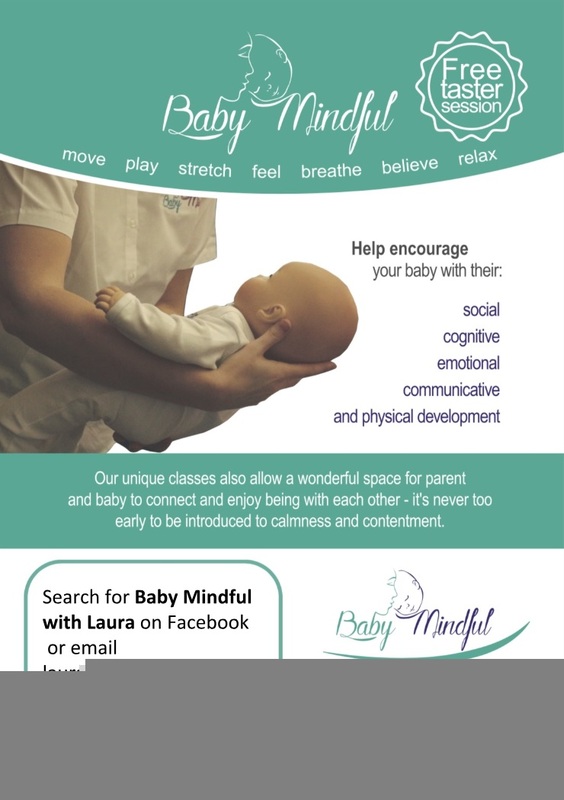 Baby Mindful classes are an amazing opportunity for parent and baby to connect and spend time getting to know each other in a calm supportive environment. It’s so easy to be caught in a whirlwind of being busy, and Baby Mindful is an opportunity to leave the to-do list and worries behind, and focus on your baby, and also your needs too – Time to just “be” rather than “do”. 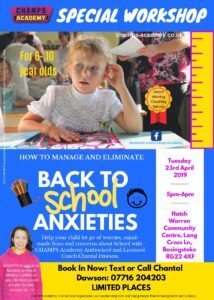 You will also learn tools to help you manage the emotional rollercoaster of parenthood (and indeed life! 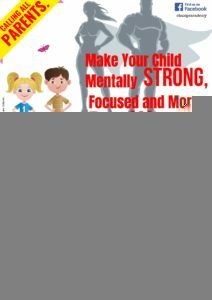 ), that will remain valuable throughout your journey as a parent – the ability to respond rather than react to situations, and be the calm your baby seeks. The classes follow a different theme each week and offer a range of activities to support the natural development of your baby, using activities that will gently stimulate and calm them and support their cognitive, communicative, social, emotional and physical development. Each class has seven sections with different activities in each – Move, Play, Stretch, Feel, Breathe, Believe and Relax – with benefits for both your baby and you. 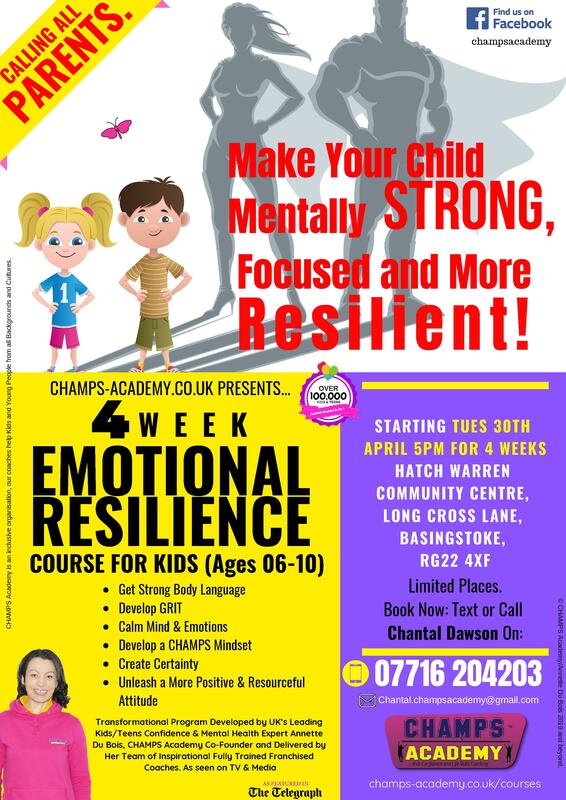 Weekly classes will be starting in Overton after Easter, with some taster sessions coming soon. I can also visit your home for 1:1 or family sessions, or for a session with your own group of friends, such as a NCT group.